Being the daughter of diaspora Palestinians Farah Nabulsi was driven to found a Media production company Native Liberty whose artistic works could help others see and feel the unique sadness of the people of Palestine. Although unlike the millions that continue to remain in stateless refugee camps Farah made a home in 1970s Britain but never forgetting the tragedy of her roots. 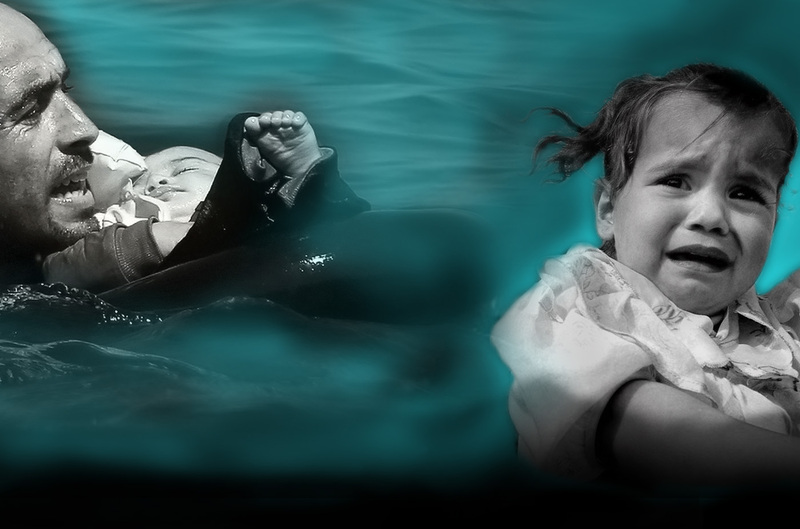 Returning on a visit to the Occupied Palestinian Territories the witnessing of the plight of children was particularly harrowing. Having forged a successful banking career with JP Morgan she went on to build a child –focused business for a decade which gave her the experience to know that offering sympathy and charity was no longer enough. Native Liberty became a focal point and in her words… “ The arts play a crucial role in changing the world and film trumps them all. It gives voices to the silenced. And hearing those voices helps build the mutual understanding needed to effect change”. 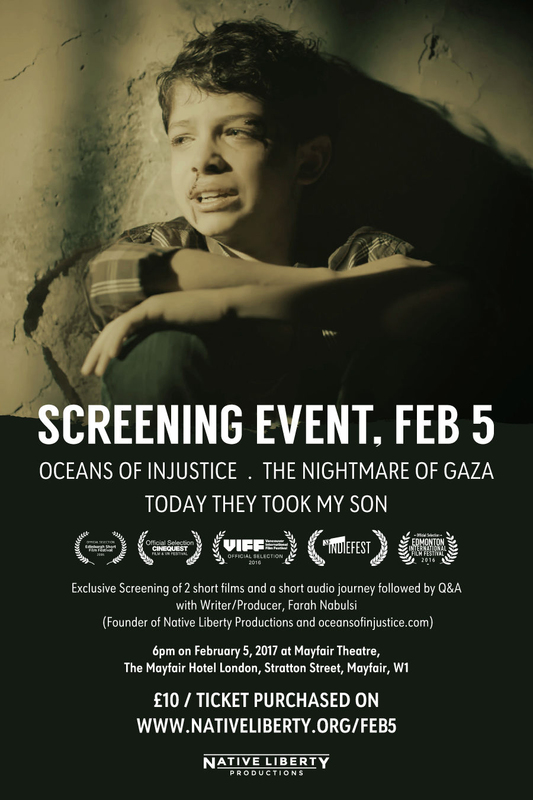 Thus in June 2016 Farah launched oceansofinjustice.com bringing together a web site and short film that draw attention to the many ongoing injustices that the Palestinians especially children face. This year 2017 she releases her second short film, TODAY THEY TOOK MY SON. A film the World needs to see and respond to with action to bring Peace and Justice for Palestine.